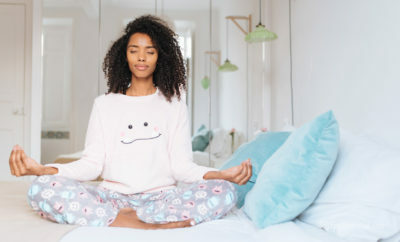 Meditation is a stress-reduction technique that transforms your mind and encourages concentration, calm feelings and emotional positivity. Meditation can be very powerful for your emotional wellbeing and can even have a transcendental effect on your understanding of life and your place in the world. 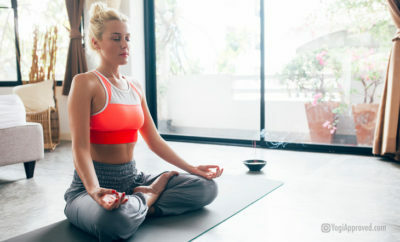 A regular meditation practice can provide you with both physical and emotional benefits, including lower blood pressure, decreased tension headaches, ulcers, insomnia and joint problems, as well as improved creativity, emotional stability, happiness, intuition, peace of mind, and clarity. The benefits of meditation go on and on! For these reasons and many more, it is important to commit to a regular meditation practice. 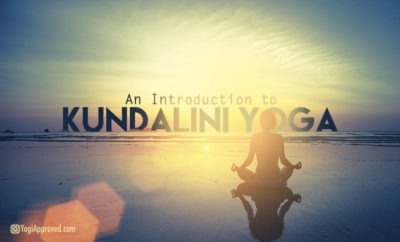 Mantras are one form of meditation that are spoken or recited to maintain a single-pointed focus. Be Here Now has become an infamous fixture in the spiritual scene for its uniquely inspiring messages in the form of mantras and meditative sketches. Whether you need some inspiration or are looking to shake up your meditation routine, this is the book for you. 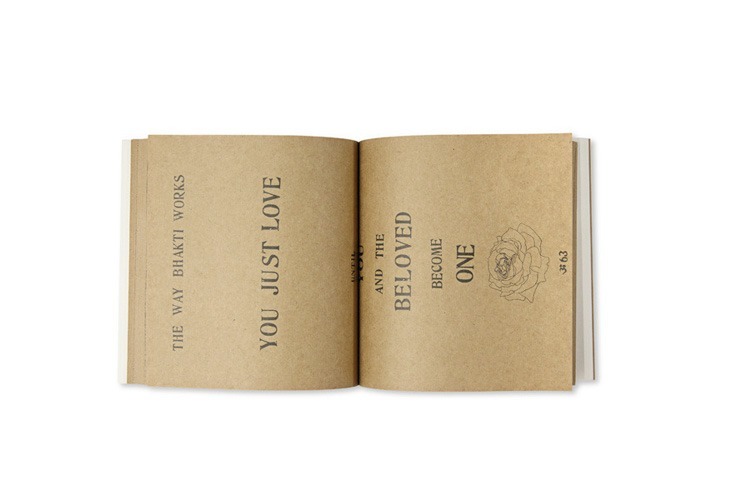 This book is so uniquely designed, brown paper pages and all! 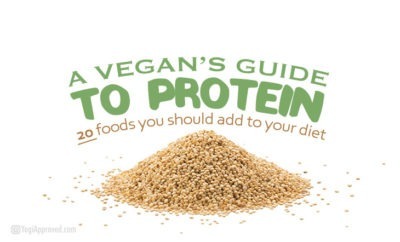 You can pick up a copy here. The Buddha has come to symbolize peace and serenity. 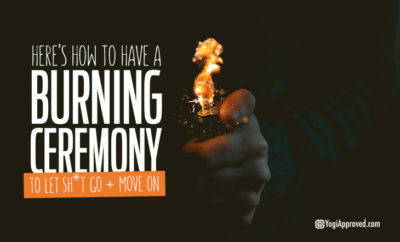 In today's modern hustle and bustle, it's important to stay anchored in your intention to maintain peace. 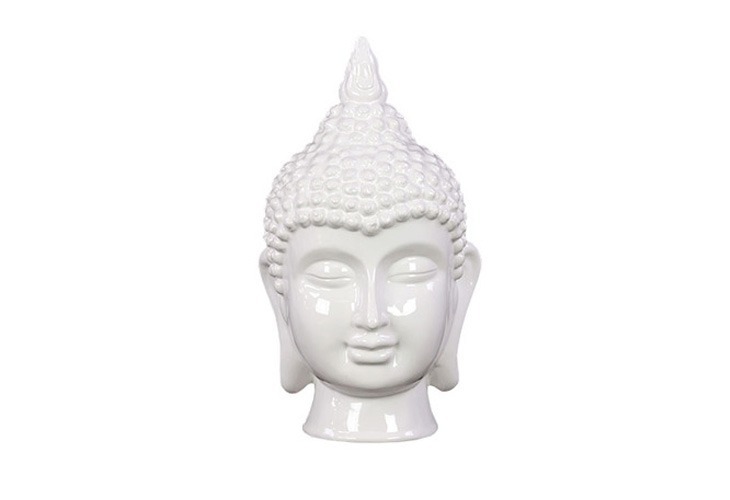 Cultivating a meditation practice is key to finding and maintaining this peace, and what better way to remind yourself than a majestic Buddha statue adorning your meditation shrine. There are countless variations of Buddha statues online. Take your time in finding one that speaks to you. If you like this one in particular, you can pick it up at dotandbo.com. Introducing a coloring book for adults, centered on meditation. 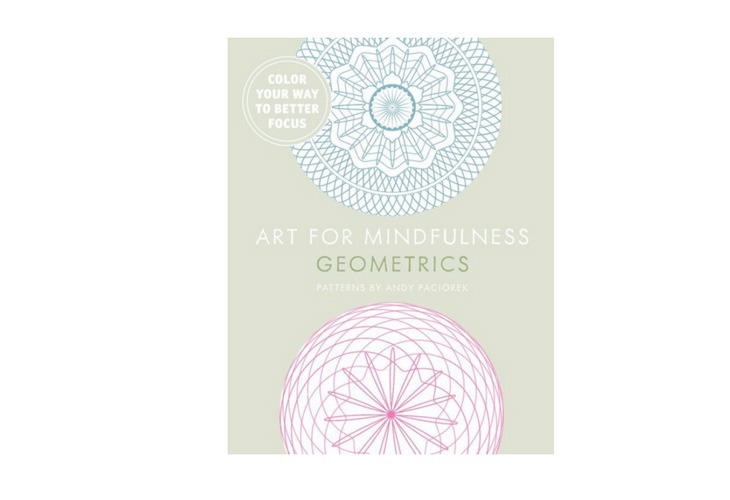 Each page contains a beautiful quote that you can focus and meditate on while you color in gorgeous geometric designs. As busy adults, we often feel guilty taking time out of our day to do fun things like color, but this meditative activity gives you a sense of purpose and also peace. You can use colored pencils or small tipped markers for the designs. As you color in the diverse geometric patterns, focus on the page’s corresponding quote, and allow the practice to calm and focus your mind. This book can be found online at BarnesandNoble.com. Candles are another key element to put your mind in a relaxed state for meditation. Real Beauty for a Cause offers a long-lasting LIGHT Soy Candle with the soothing scent of rosemary, grapefruit and geranium, which can ease your mind and provide a comfortable environment where your thoughts can simply melt away. 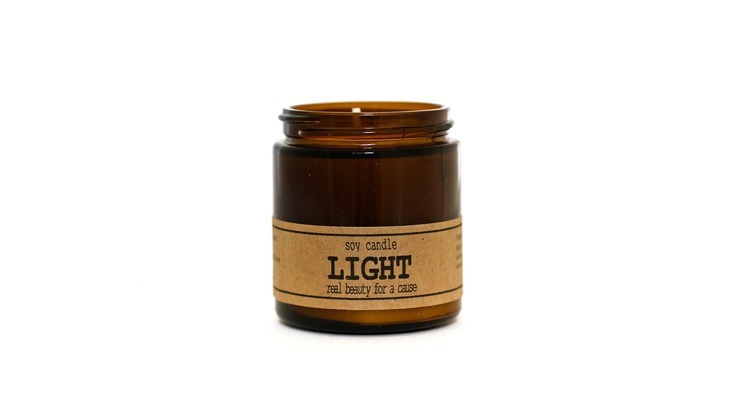 Unlike most candles that are made with paraffin (a petroleum-based product) and a lead-based wick, this candle is made with natural soy wax for a clean, chemical-free burn that lasts up to 30 hours longer than a typical candle. Using a mala will help enhance your meditation practice and keep your thoughts from wandering. 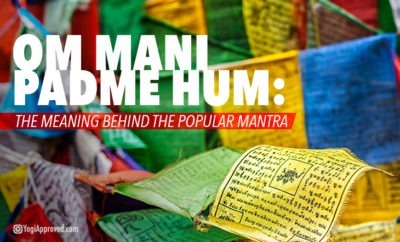 Some people like to keep count of their mantra repetitions by touching each bead as they speak or silently recite their mantras. 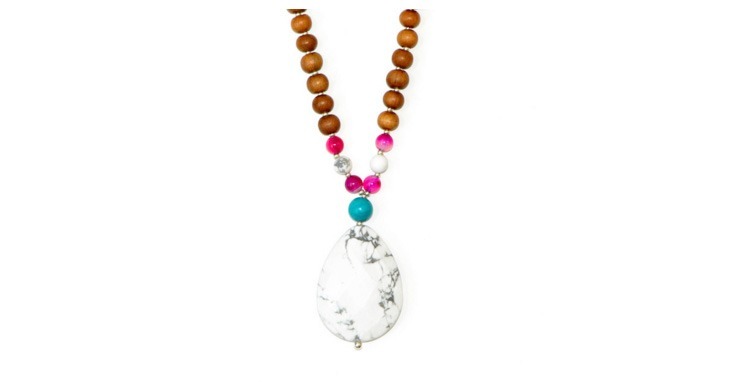 Jacki Carr's Rock Your Bliss Mala by Tiny Devotions, in collaboration with Rock Your Bliss, is a beautiful, well-made mala necklace that can help you focus during your meditation practice and inspire you to connect with your true self. The color schemes are gorgeous and go with everything, and the longer length makes this piece beautifully elegant. The white howlite guru stone releases stress and negativity. The fuschia agate is for protection and strength as they balance your yin and yang energy, while the turquoise stone encourages open communication, and the sandalwood beads promote tranquility and positive energy. 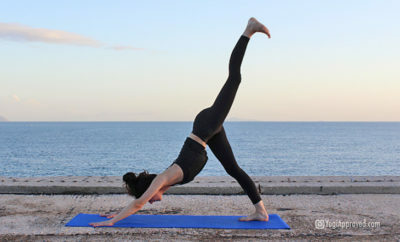 Scent is a key element in relaxing your mind and preparing for your meditation or yoga practice. 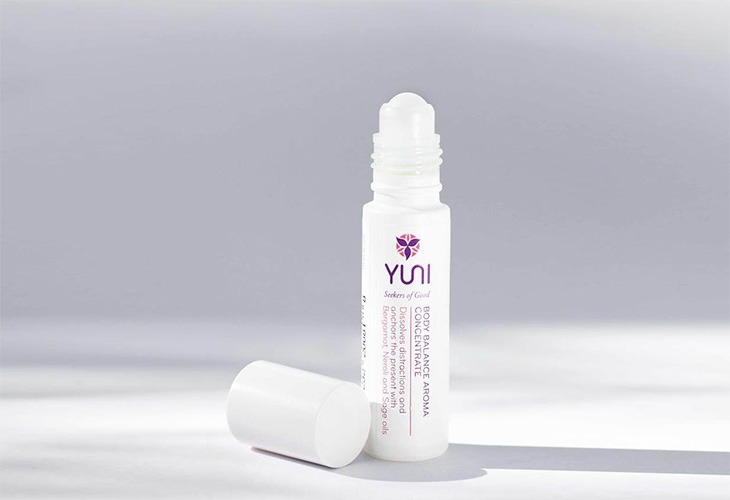 The Body Balance Aroma Concentrate from YUNI is a convenient, portable aromatherapy concentrate roll-on oil made of non-toxic, plant-based essential oils: safflower seed, sweet almond, jojoba seed, bergamot, neroli, sage and kukui seed oil. The roll-on has a centering aroma that melts away distracting thoughts and leaves you feeling connected with your body through a deep sense of self-awareness. 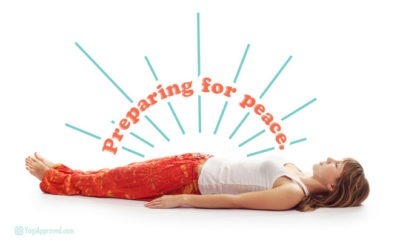 For savasana or your guided meditation, roll the concentrate onto your temples or beneath your nose, and feel a deep sense of relaxation when you need it most. Get yours at yunibeauty.com. Whether you are in savasana or want to have a well-rested meditative escape while laying down, an eye pillow is one of those go-to products that you need at home. 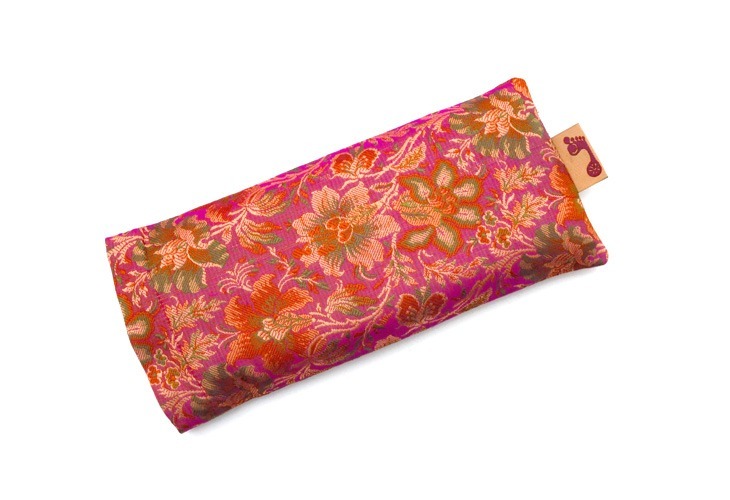 The Samadhi Eye Pillow from Barefoot Yoga is an ornate silk pillow with a soothing and relaxing lavender scent. The burgundy color is beautiful with the gold and green floral details, and the accompanying pillowcase is perfect for keeping your eye pillow clean while traveling. The eye pillow is made with lavender and flaxseed which offers a light but not overwhelming scent, and it feels comfortable and silky on your face. When you are on the market for a beautiful and well-made eye pillow to aid in your relaxing meditation practice, give Barefoot Yoga’s pillow a whirl! Get one at barefootyoga.com. 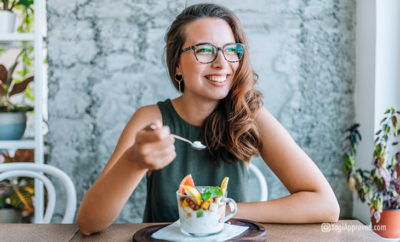 The benefits of aromatherapy are immense, ranging from reduced anxiety and feelings of depression to increased energy, and improved digestion and brain function. The Zen Monq by Monq is a personal aromatherapy wellness diffuser, made of safe, pure and natural whole-plant extracts from organic and wild-picked fruit, citrus and flowers. 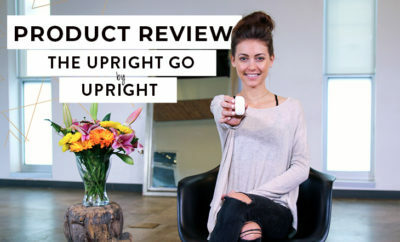 The diffuser is free of artificial chemicals, tobacco and nicotine, and you can use it to relieve anxiety, enhance your mood and improve your mental focus and performance. It is sleek and the end has a cute diamond that lights up, making it simple, fun and calming to prepare your mind for meditation. It is ready to use right out of the box without charging or maintenance. To use it, just inhale gently through your mouth and exhale out through your nose, and you will experience the benefits of frankincense, orange and ylang ylang. Go ahead, have a puff and experience pure aromatherapy unlike anything you’ve experienced before! Get these at monq.com. 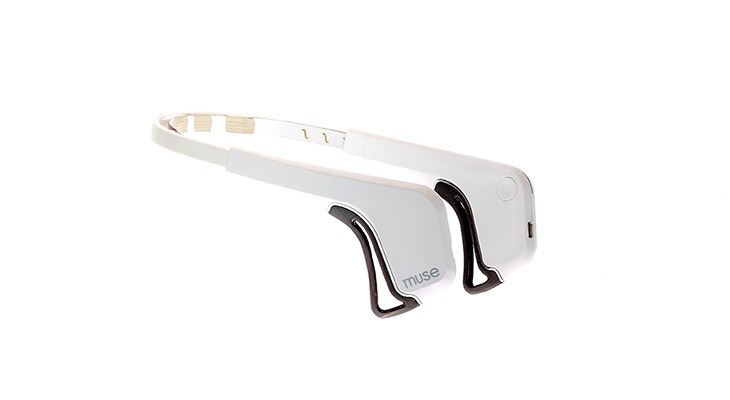 The Muse Meditation Headband is a tool that provides you with accurate, real-time feedback on your level of focus or distractions while you meditate. The Muse offers 3- to 45-minute sessions, so you can squeeze in meditation, even if you are pressed for time. The best feature by far is the brain sensing technology. The headband monitors your brain frequencies and adjusts the sound to help you refocus your attention and move beyond your distracting thoughts. When you are calm and focused, you will hear calm, soothing water and a gentle breeze. When you are distracted, you will hear heavy winds. 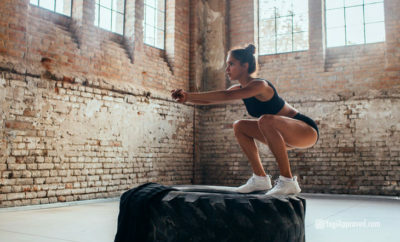 When you are focused, the headband rewards you with points for the percentage of time during your session that you were able to keep your mind free of wandering thoughts. 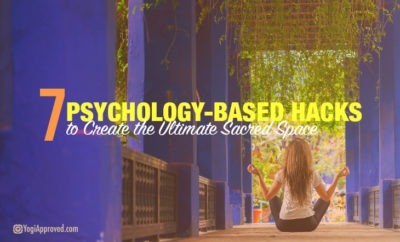 If you have a hard time sitting still or quieting your mind, this revolutionary tool will quite literally change your life and teach you to slow down and smell the roses. You can get one of these bad boys at choosemuse.com. 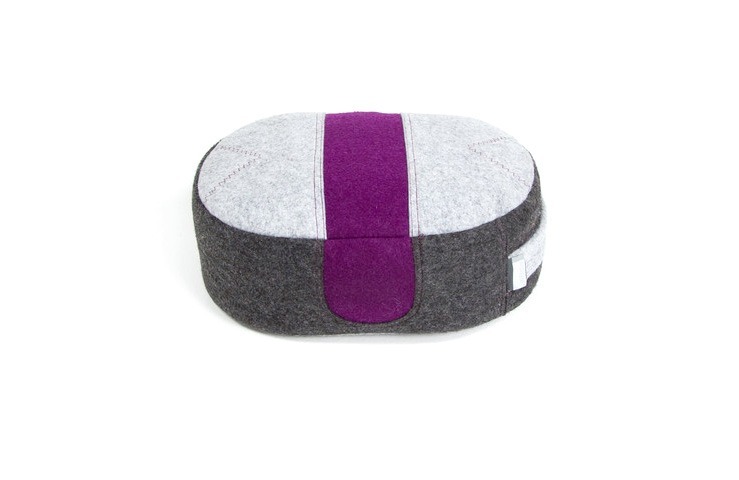 What meditation practice is complete without a meditation cushion? The UME Meditation Cushion from Zen Posture is an excellent, high-quality meditation pillow that is filled with organic buckwheat that moves with your body and provides a soft base for your practice. The pillow makes a comfortable seat and allows for effortless posture during meditation. Lay it flat as a traditional seat, or turn it on its side for an elevated seat that forces you to sit up straighter and taller. The pillow is made of a wool felt in a color combination of rich burgundy, light and dark gray with durable stitching and heavy thread that ensures long-lasting use. The side handle makes adjusting or transporting the pillow easy, and the canvas storage bag is great to keep your pillow clean and dust-free between uses or during travel. Zen Posture is your go-to meditation cushion for your meditation practice at home or wherever life may take you. Pull up a seat at zenposture.com. The Be Still Necklace by Drops of Joy Jewelry is a simple yet stunning necklace that acts as an aromatherapy diffuser. 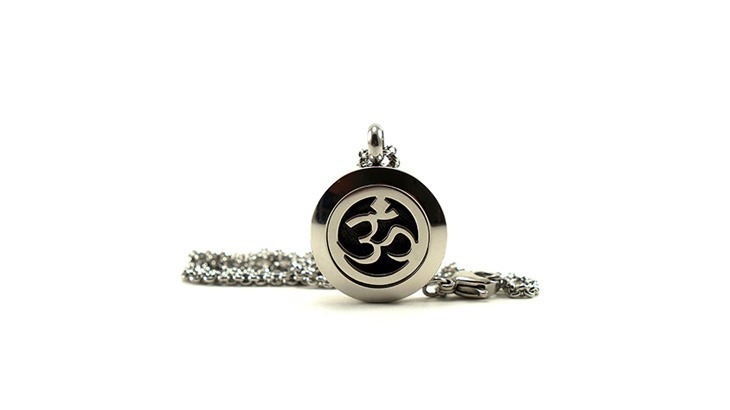 Set upon a sturdy chain necklace, a stainless steel Om symbol magnetic locket stores organic leather diffuser dots. Add a few drops of oil to the dots and you can experience that beautiful aroma for 2-4 days. Each time you get a whiff, you are given a gentle reminder to remain calm and present throughout your day. Even more, you can feel confident in your purchase knowing that Drops of Joy will donate $2 from every purchase to St. Jude’s Children’s Hospital. Slip on this necklace and enjoy the meditative benefits of your favorite essential oils everywhere you go! Get one at dropsofjoyjewelry.com. Now you are equipped with the right tools to focus on your intentions and commit to a regular, at-home meditation practice. 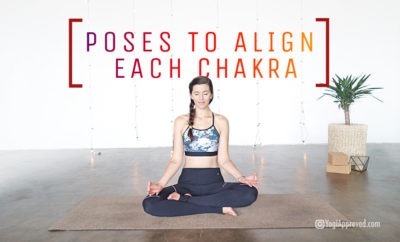 Whenever you are feeling overwhelmed, unfocused or unbalanced, turn to meditation and use it as a time to bring your mind and body back into balance.